The longest indoor freefall Guinness World Record has been jointly achieved by two Russian adventurers, Viktor Kozlov and Sergey Dmitriyev, in the city of Perm on Tuesday, 10 July 2018. 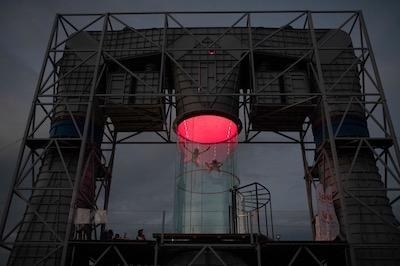 The record took place at the innovative FreeFly Technology wind tunnel. The skydivers flew uninterrupted for 8 hours, 33 minutes and 43 seconds to beat the record of indoor freefall set before. The result was made official by a representative of the Guinness World Records Association. Each minute of indoor body-flying is the equivalent of one skydive, and the whole 513 minutes is the same as falling 1280 miles continuously or the distance from New York to Cuba. 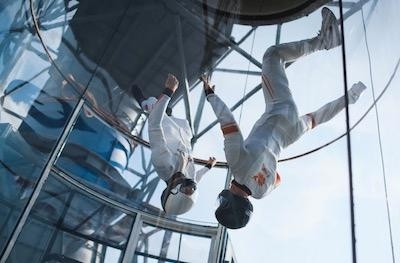 FreeFly Technology wind tunnel is built on a technology allowing the air to move upwards at approximately 167 mph, the terminal velocity of a falling human body belly-downwards. It can provide the wind speeds and the feel of real skydiving. Such kind of vertical wind tunnels are frequently called “indoor skydiving” tunnels due to their popularity among skydivers, who report that the sensation is extremely similar to skydiving. Indoor skydiving is flying your body on a strong airflow in a vertical wind tunnel. As a sport, it has grown exponentially in the last few years. Indoor skydiving is a good approximation of steady-state freefall in a confined horizontal area.